Premium Airport Taxi Services, without the Premium Price Tag! Planning your holiday can be stressful, but at Malaga Airport Transfers, we help make the process easier by providing you with spotless vehicles and top-notch service. As a private Malaga airport taxi transfer service, we are dedicated to ensuring each one of our clients receives five star service as soon as they arrive in our beautiful city. 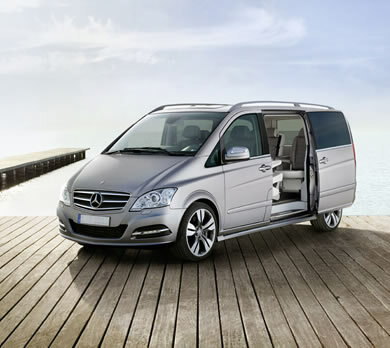 Whether you are interested in a low cost private Malaga taxi or need a minibus, our Malaga transfers will help you arrive safely & in comfort to your destination. Our Malaga taxi service is available from the airport to any location throughout Andalusia, and our drivers go beyond your expectations all while providing affordable priced Malaga transfers. You will never have to settle for less than stellar service for your airport transfer when you choose us. I will not hesitate in recommending Cheap Malaga airport transfers to my friends and family, thank you for such a wonderful service and comfortable ride. When booking our service, you never have to provide personal information or your credit card number. In fact, we do not except upfront payments. We do not expect our customers to pay for a service they have yet to receive. We are committed to serving you first and settling the bill later, all our prices are fixed rates so you will not receive nasty surprises once you have arrived at your holiday destination. To book our Malaga airport transfers, all you will have to do is reserve our service on line providing the date of your arrival and where you will be travelling to. From there, our driver will meet you in the airport as soon as your plane lands, If your flight is delayed there is no need to worry all our drivers monitor the flights with a modern mobile app. It’s simple, stress-free, and you never have to worry about making a deposit or an upfront payment. All you have to do is arrive at the airport and let our drivers take care of the rest. Our goal is to make your journey safer and more affordable, and with our cheap yet high-quality Malaga transfers, we are able to do just that. Professional, Punctual and Experienced Drivers. After landing in Malaga, our driver will be ready and waiting to Drive you to your destination. We take your safety seriously, and always put your needs first so you can be confident that our drivers are 100% professional and fully certified to get you where you need to be. In fact, all of our vehicles are fully licensed & insured according to the Spanish law. Punctuality and reliability are the hallmarks of a good Malaga taxi driver, and we guarantee our chauffeur will arrive at the airport on time to transport you to your destination quickly and safely. However, our high quality service goes beyond simply driving you to and from your destination. Our drivers will even assist you in hauling your luggage and will greet you with a smile as soon as you arrive. 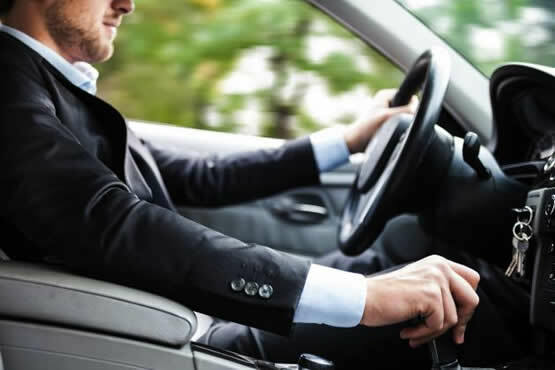 As English speaking professionally uniformed drivers, they adhere to the standards and guidelines set forth by our company and are there when you expect them to be, even if you r flight is delayed you can rest assured your driver will be waiting for you no matter what time it is and at no extra cost. Once you have arrived at your destination a low-cost payment will be requested by our driver and your transaction will be complete. It’s simple and stress-free. Although our Malaga taxi service is extremely affordable, we never shy away from offering premium service to our customers. By hiring and working only with professional drivers, we eliminate any concern you might have, and guarantee that the service offered matches the service advertised. Peace of mind and quality assurance are our promise to you. We understand how important comfort is to you after a long flight, which is why we pay special attention to the condition and cleanliness of our vehicles. Whether you request a taxi or are interested in a minibus for a large party, our vehicles will arrive in perfect condition ready for your use. Our dedication to offering you the highest quality service available at the best possible price, guarantees that you will never have to travel in an outdated or poorly cleaned vehicle. We put our business against the highest standards, and demand both first-class service and the finest means of transportation feasible for our clients. At Cheap Malaga Airport Transfers, we are dedicated to offering you low-priced Malaga transfers and first-rate customer service. Our drivers are reliable and always arrive on time. If you are searching for affordably priced airport taxi transfers with no money down, no credit card hassles, and exceptional service, then choose us. We will take care of your airport transportation needs without a deposit or booking fee. Simply pay our driver in cash or euros once you arrive to your destination. Book the best airport taxi service, at the best price, by booking with us today. If there are children in your party, we will also supply FREE child seats, no questions asked..
No credit cards. Pay your driver on arrival.